Let’s spread the word! Your support in promoting the Summit to your community through newsletters, blogs, social media, press contacts and any other means is greatly apprecaited. Below are some resources to help you spread the word. If you have questions, please email events@sustainablepurchasing.org. 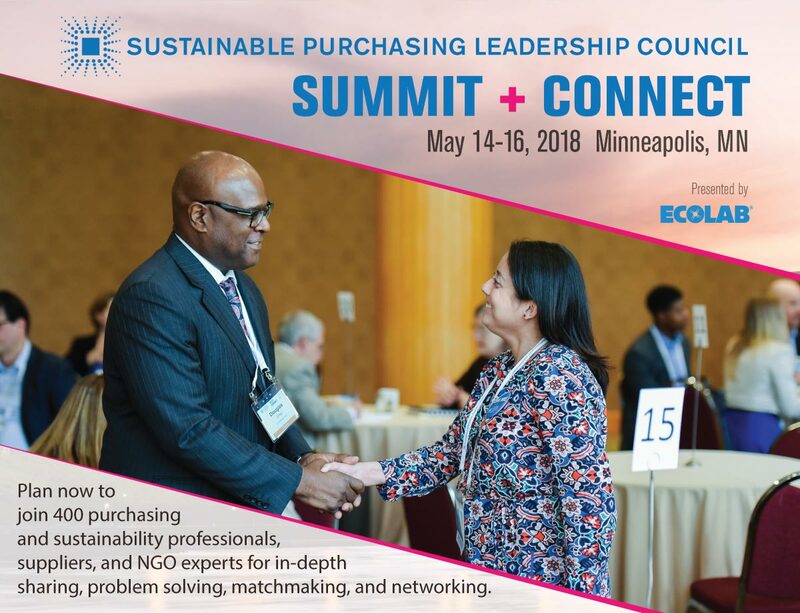 I want to share with you a discount code for the Sustainable Purchasing Leadership Council’s SPLC Summit 2018, to be held Monday, May 14 – Wednesday, May 16, 2018 at the Renaissance Minneapolis Hotel, The Depot, Minnesota. I will be attending, and believe your participation in the Summit would be beneficial. I am pleased to provide you with a discount code, applicable to the non-member full Summit registration only. Input the MEMBERREFERRAL discount code to get 10% off when registering. Following up on the Council’s well-reviewed 2017 Summit, the 2018 Summit will bring together 400 leading sustainable purchasing experts and practitioners from a wide variety of sectors and regions for two days of best practice sharing, training, and relationship building. This year’s Summit will feature a robust program, over 60 high-level and inspiring speakers, as well as dozens of interactive workshops, and a Leadership Awards banquet. SPLC Connect, a unique matchmaking event for sustainability-oriented buyers and suppliers, will take place during the day on Monday, May 14. Summit registration is not a requirement for participation. PS: Organizations that register for the 2018 Summit and become SPLC members at the same time get 10% off their new membership. Have you heard about SPLC Connect, a sustainability-focused buyer-supplier matchmaking event taking place in Minneapolis, Minnesota on Monday, May 14 at the 2018 Summit venue, the Renaissance Minneapolis Hotel, the Depot. It’s unique because a committee of sustainability-savvy purchasing professionals are vetting the participating suppliers to identify those that can help organizations make genuine improvements in their sustainability performance. Buyers participate for free, so I’d encourage you to check it out and register. More buyers and suppliers are registering every day. 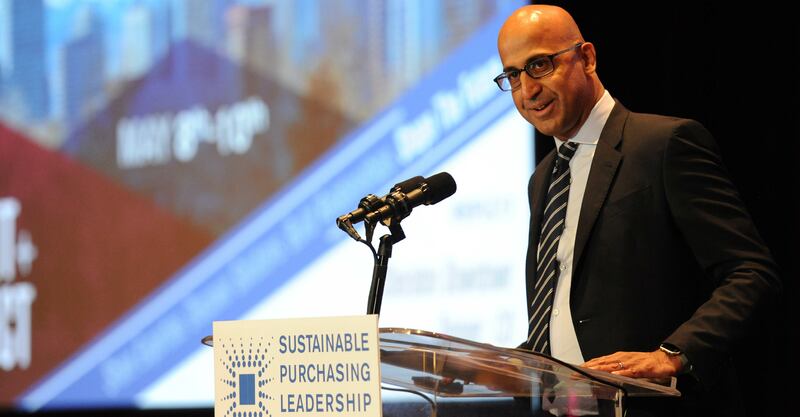 SPLC Connect is being held during the day before the opening night keynote for the Sustainable Purchasing Leadership Council’s 2018 Summit, which may also be of interest to you. 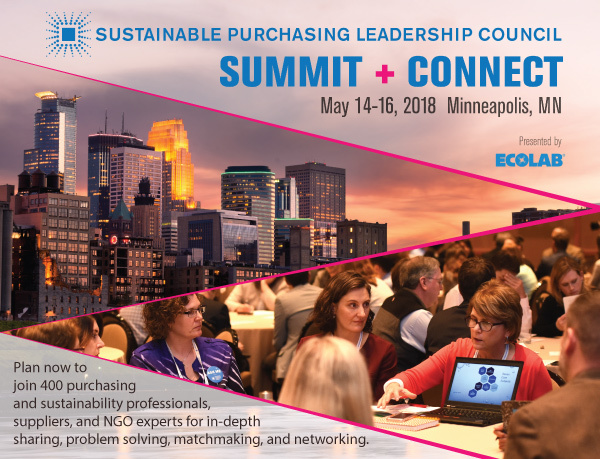 SPLC’s 2018 Summit takes place May 14 – 16 in Minneapolis, Minnesota, bringing together hundreds of leading sustainable purchasing experts and practitioners from a wide variety of sectors and regions to share best practices and develop programs for guiding and benchmarking leadership in sustainable purchasing. Non-members pay between $1,050 and $1,250, depending on the date of registration, to attend the two day Summit. Register to attend the Summit today to save! I hope to see you in Minneapolis! 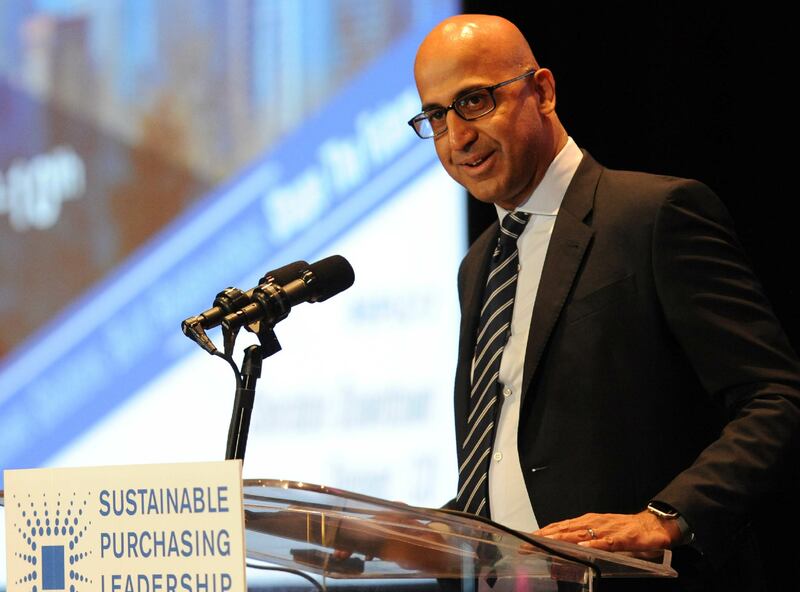 I’m honored to be speaking at the Sustainable Purchasing Leadership Council’s 2017 Summit, May 14 – 16 in Minnespolis, Minnesota, alongside an impressive list of colleagues and thought leaders. As a speaker, I’m pleased to share with you the opportunity to register for 10% off using this special discount code: SPEAKERREFERRAL. Please note this code is applicable to non-member full summit registration rates only. 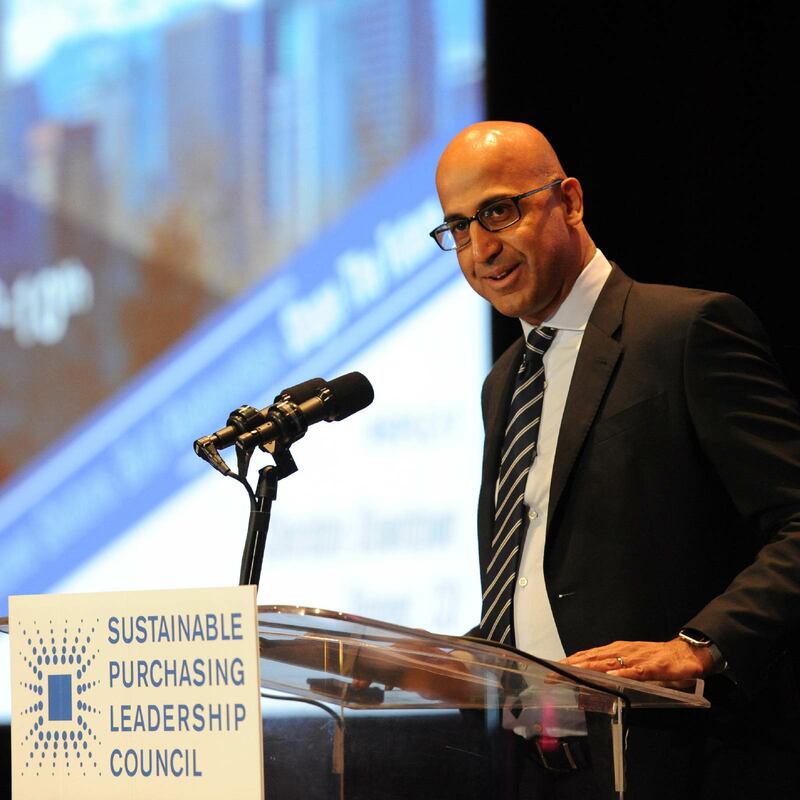 I’ll be at the Sustainable Purchasing Leadership Council’s SPLC Summit 2018, to be held Monday, May 14 – Wednesday, May 16, 2018 at the Renaissance Minneapolis Hotel, The Depot, Minnesota, and would like to encourage you to attend as well. SPLC’s Summit provides an opportunity to learn sustainable purchasing best practices, share knowledge across regions and sectors, and build valuable relationships with like-minded professionals. Check-out the 2017 program and speaker list, as well as the organizations that attended to get an idea of what the 2018 Summit will offer. If you like what you see, register today on the 2018 Summit website. Share with your social media audience that you are planning to attend the 2018 SPLC Summit! Below you will find sample verbiage to use for Twitter and LinkedIn. SPLC’s Twitter ID is @SPLCouncil. The hashtag for the Summit is #SPLC18. Powerpoint Slides – Coming Soon! If you would like to use some photos or videos in promoting the Summit, we have several slideshows with hundreds of photos and several videos available on the 2017 Summit Multimedia Summary webpage. Please use messaging from the SPLC website and 2018 Summit website when crafting your press release.